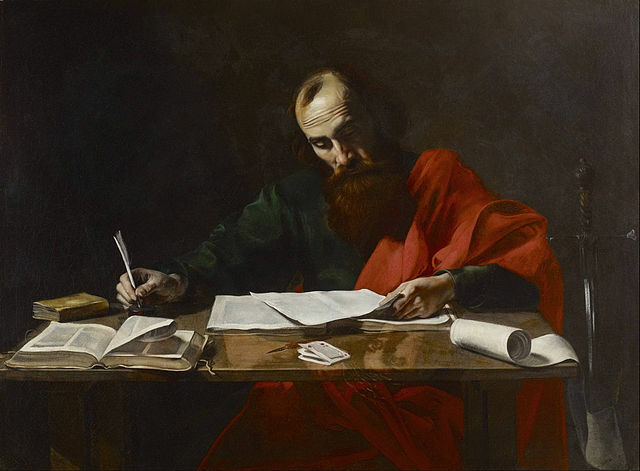 Evangelical Textual Criticism: Paul’s Bible Version in 1 Corinthians 15:54? Paul’s Bible Version in 1 Corinthians 15:54? I continue my series on what version of the OT is the NT using? Given the discussion of Theodotion or ‘Proto-Theodotion’ last week, it is time to address Paul’s bible version of Isaiah 25:8 in 1 Corinthians 15:54. Once again, we need to remember that when Paul uses the OT or Greek scriptures, he mostly uses them in the version we know as the LXX or ‘the Seventy’ or the Septuagint even if Paul may not have thought about the matter in that category unless he was referring to the Law or the Torah. Furthermore, it is unclear what Paul would have called the revisions of these Old Greek translations. Scholars refer to the ‘kaige tradition’ or ‘proto-Theodotion’ or even ‘kaige-Theodotion’ when referring to these texts. Late second-century Christians refer to the versions/editions of Theodotion, Aquila, and Symmachus, and we can reasonably date the latter two to the early-middle of the second century. Historical Theodotion could be dated to near the end of the second century based on some patristic statements, but internal evidence and some patristic testimony could locate him in the first century. Scholars continue to work on this pressing question. Whatever we call this Jewish tradition or movement from around the turn of the era, its work does appear within the NT. In 1 Corinthians 15:54, Paul writes: τότε γενήσεται ὁ λόγος ὁ γεγραμμένος· κατεπόθη ὁ θάνατος εἰς νῖκος (then the word which is written will happen, “Death is swallowed up in victory.”). The question before us is what text of Isaiah 25:8 does Paul cite? And it just so happens that for this passage we have all of the relevant editions of the Jewish revisers that Origen included in his Hexapla: Theodotion, Aquila, and Symmachus in addition to the LXX and the Hebrew text. These versions probably reflect different vocalizations of the same consonantal proto-MT, but I won’t delve into the details here. The main point is that Paul’s short citation reflects exactly the version of Theodotion Isaiah (“Death is swallowed up in victory”), not OG-Isa, and this version does not reflect the vocalization of the MT. Given the contrasts with HT and OG and the exact wording of Theodotion, Paul has used this Jewish Greek version of Isa 25:8 in 1 Cor 15:54. This instance and others like it raise the question over access to these Greek versions. How does the NT author access these other versions? Regional texts? Memory? But that’s another question for another day. Thanks for this series. Are there any resources you'd recommend for following up on that concluding question? Thanks for your interest, Ben. I seem to remember an article treating this question by Florian Wilk, but I can't recall the bibliography at the moment. Sorry I can't be of more help. Yes, I see Wilk's article "The Letters of Paul as Witnesses to and for the Septuagint Text" goes right into that subject. Thanks! Why Does Michelangelo’s Moses Look Like That?